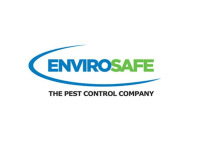 We are able to respond quickly to your pest and vermin control needs. We offer emergency call-outs 24 hours a day, 7 days a week! Pigeon netting and proofing to all types of buildings, including cleaning and removal of Bird waste. 24 hour pest response! Extremely professional service. The website was really useful to work out exactly what pest problem we had and then the service which followed was equally as helpful and professional. Envirosafe addressed a terrible mice infestation in my new business. I haven’t had any trouble since. They didn't seem like they were in a rush, very helpful and took their time to make sure that they had completely removed the rodents and were very discrete in doing so to prevent the neighbours from talking! I would call them again, but I’m sure that now I won’t need to!